Summary: Each page has a picture of an oak tree and a poem about what is going on through the fall. 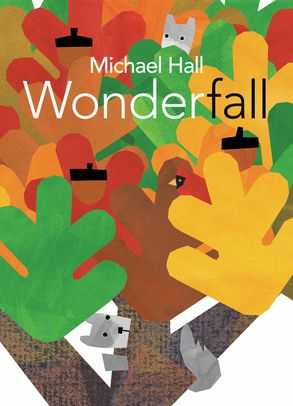 The poems are entitled with –fall words, such as thankfall, delightfall, and peacefall. Gradually, the tree changes from green to multi colored to bare. The school bus appears at the beginning, followed by a farmer’s market, an autumn parade, Halloween, Thanksgiving, and finally, clean-up of the fallen leaves. The final word heralds a new season: snowfall. Back matter includes information on how the animals pictured spend the winter (introducing the terms hibernation and migration), as well as the connection between squirrels and acorns, and how the tree will survive the cold weather. 40 pages; ages 4-8. 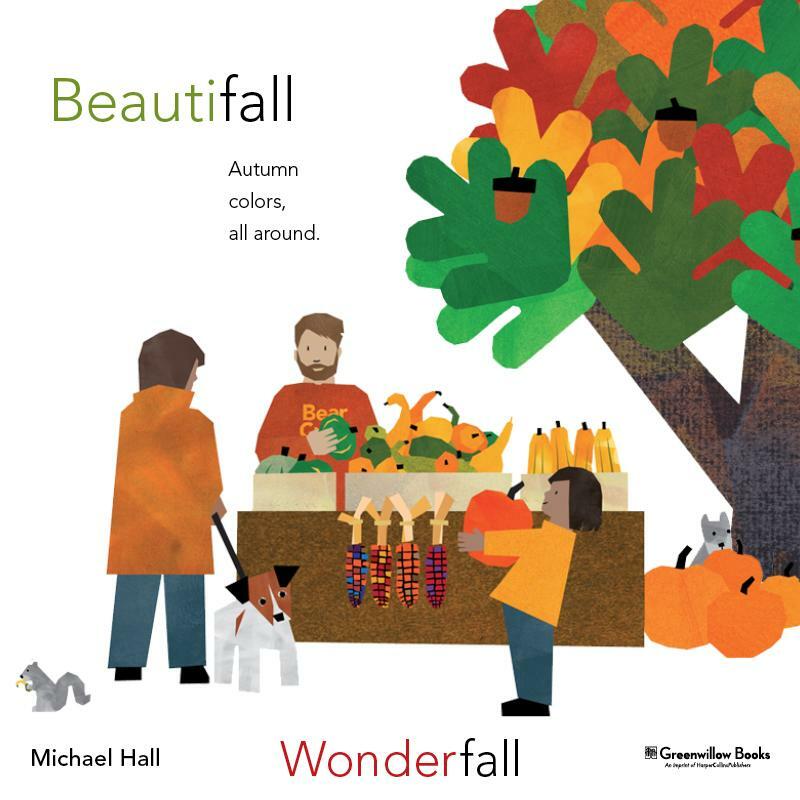 Pros: A beautiful introduction to fall, with scenes kids will recognize from the season, illustrated with Michael Hall’s bright, simple creations. The end matter will give readers more scientific information to appreciate the changing seasons. Cons: I couldn’t tell from the information given if some of the animals hibernate or stay awake in the winter.